Cowdroy would like to introduce the new retail Barn Door Track System. 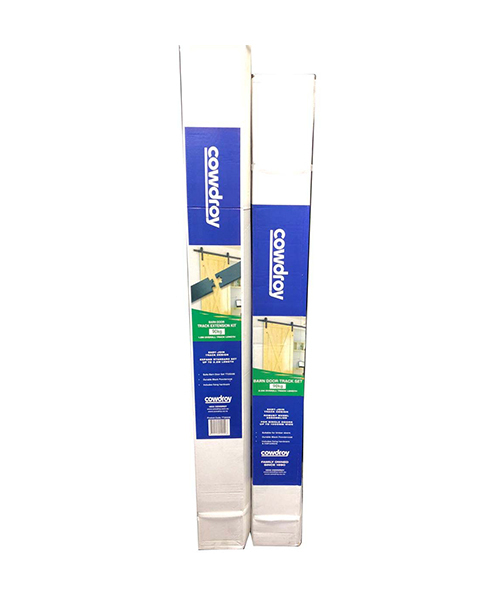 Whilst this style of track is not new to the retail market, Cowdroy's Barn Door Track has an outstanding feature - it has a 2-piece "jigsaw-join" track, making up a 2.0m overall length. This feature allows the kit to be packaged in a compact, 1.1m box, making it ideal for on-shelf stocking and consumer handling. In addition to the 2-piece track, there is an optional track extension kit which has a 1.2m length of track and fittings to suit, which allows the standard 2.0m kit track to be increased to 3.2m overall, catering for wider doors. The wall fixing screw goes through the hole in the centre of the join and helps keep the track clamped at that point, ensuring stability. 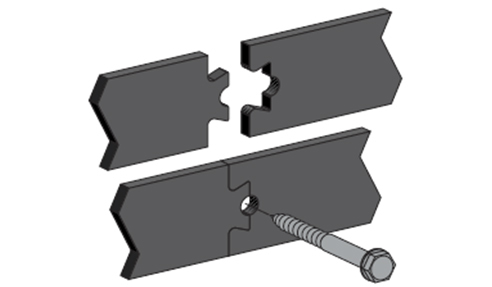 The Extension track has the jigsaw design to each end whilst the standard kit has the jigsaw design in the centre only, with each end being square. A 2.0m 2-piece pre-drilled track - easy handling and installation. 90kg per door weight capacity - consistent with retail expectation. Robust hangers with large rollers - smooth and effortless rolling. Fixing hardware included - suits timber and masonry fixing. Durable powder coat black finish - hard wearing. Installation instructions - step by step installation. Optional Track Extension Kit - increases track length for wider doors. Ideal for internal applications on timber doors - including timber-framed glass doors. Both kits are packaged in white cardboard boxes with coloured labels showing appropriate details. For further information visit www.cowdroy.com.au. I would like to enquire about Cowdroy.